The LTC Ombudsman are specially trained advocates for residents of skilled nursing facilities, resident care facilities for the elderly, and for board and care facilities at no fee. This program helps those who seek to resolve complaints for residents in extended care facilities. Free unbiased counseling for family caregivers considering placement of a loved one in a skilled or resident care facility in Ventura County. 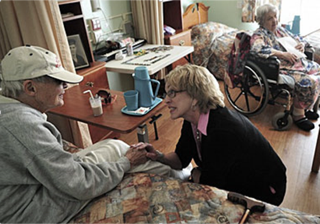 Call (805) 658-1986 or visit Long Term Care Services of Ventura County.